When it comes to reliable pest control, we do it all! You need a pest control company that will treat your home as it does their own. Johnny’s Blues Four Seasons Pest Control doesn’t blanket-treat each home site the same. We go through a thorough checklist, which includes first determining whether or not your home is vulnerable to certain types of pests, then making recommendations on how to prevent those pests from coming back. 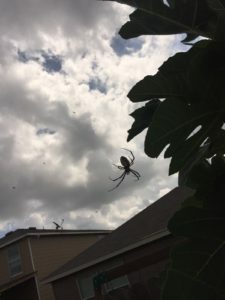 We will point out areas that will likely attract the pests in the future, and provide you with information to prevent needing future San Antonio pest control services! Knowledgeable pest control services will write up a treatment plan to control your current pests; furthermore they will educate you on how to avoid future infestations! Call and schedule your San Antonio pest control services Free Evaluation now 210-488-2498. Why choose Johnny Blue’s Four Seasons Pest Control? Our pest control services company is founded on knowledgeable, reliable and responsible professionalism. We guarantee our work 100%. If you want your home to be completely and safely treated for pest, call us 210-488-2498. Our San Antonio pest control services eliminates all types of pests and disease-spreading rodents in a humane fashion, with safe, non-residue chemicals. We are happy to answer your pest control services questions and provide you with a free cost estimate without any obligation and no surprises! Call Johnny Blue’s Four Seasons Pest Control today to see how we can help you protect your investment! Why not just use over the counter pest control? Like is usually the case, when you want optimal results, you should utilize the professionals due to their know-how! We have been in the business of ridding homes of unsanitary, bothersome pests for over 25 years, so we know a thing or two more than the directions on the back of that $5 can! We’ll educate you about your current situation, as well as point out hazardous areas that are likely to attract the pests again, and together create a plan that will help you sleep at night, pest-free!